Q – Where’s the Renaissance music? 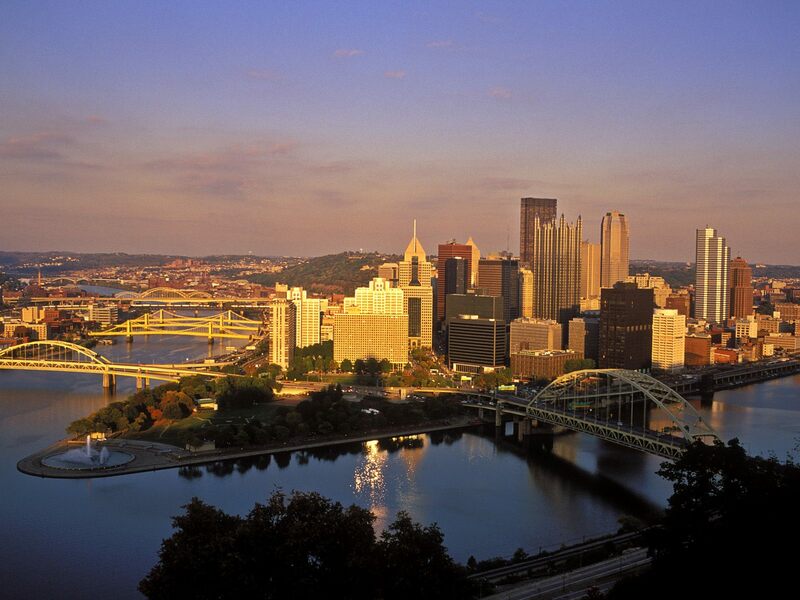 A – We’re the RENAISSANCE CITY Winds, named after Pittsburgh’s nickname. 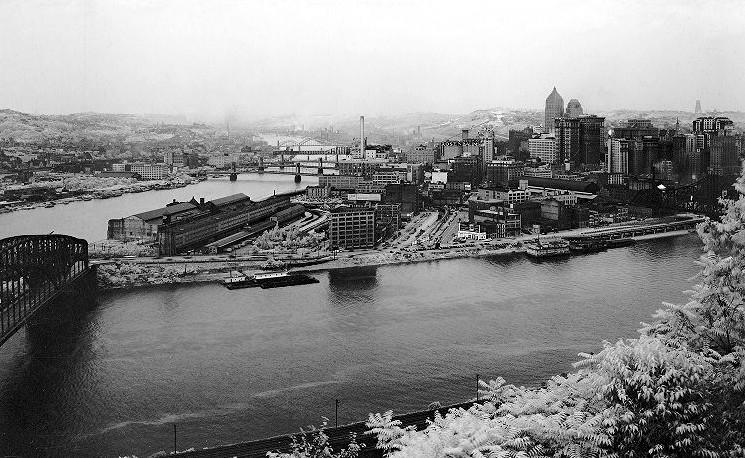 In the immediate post-WWII years, downtown Pittsburgh was reborn with the demolition of warehouses and industrial facilities and the construction of Gateway Center, the modern skyscrapers where the Allegheny and the Monogahela merge to form the mighty Ohio River. 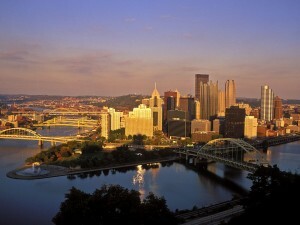 That’s where the “Renaissance City” came from! While we play a few transcriptions from the Renaissance (1500s), the first original music for oboes and bassoons came along in the early Baroque, and the clarinet at the very end of the Baroque. So most of our music is from 1630-2013!